Great summer getaway at the shore at an affordable price. This community offers many activities right there including a pool, tennis court, basketball, miniature golf, child play area and more. 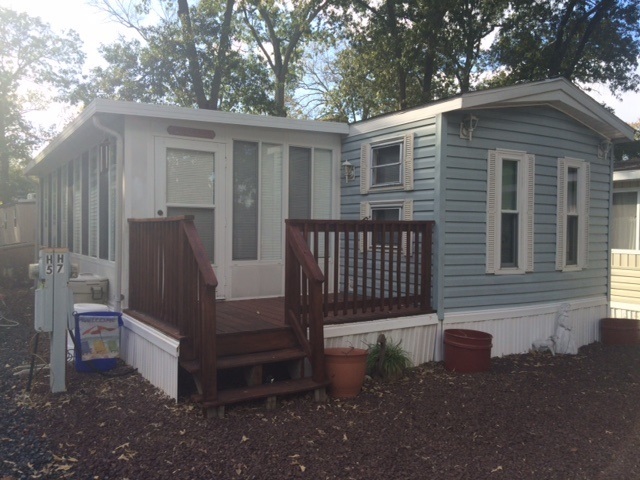 This unit offers 3 bedrooms plus additional sleeping area for guests, large Florida room and parking for 2 cars. Gated community where you own the land also. Located only minutes from beaches and all shore points. Easy to show. Don&apos;t miss this great opportunity to own a piece of the shore.